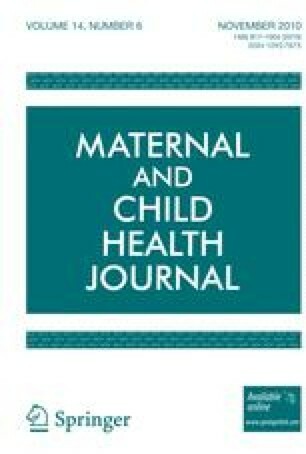 This study investigated provider-based complementary/alternative medicine use and its association with receipt of recommended vaccinations by children aged 1–2 years and with acquisition of vaccine-preventable disease by children aged 1–17 years. Results were based on logistic regression analysis of insurance claims for pediatric enrollees covered by two insurance companies in Washington State during 2000–2003. Primary exposures were use of chiropractic, naturopathy, acupuncture, or massage practitioner services by pediatric enrollees or members of their immediate families. Outcomes included receipt by children aged 1–2 years of four vaccine combinations (or their component vaccines) covering seven diseases, and acquisition of vaccine-preventable diseases by enrollees aged 1–17 years. Children were significantly less likely to receive each of the four recommended vaccinations if they saw a naturopathic physician. Children who saw chiropractors were significantly less likely to receive each of three of the recommended vaccinations. Children aged 1–17 years were significantly more likely to be diagnosed with a vaccine-preventable disease if they received naturopathic care. Use of provider-based complementary/alternative medicine by other family members was not independently associated with early childhood vaccination status or disease acquisition. Pediatric use of complementary/alternative medicine in Washington State was significantly associated with reduced adherence to recommended pediatric vaccination schedules and with acquisition of vaccine-preventable disease. Interventions enlisting the participation of complementary/alternative medicine providers in immunization awareness and promotional activities could improve adherence rates and assist in efforts to improve public health. Yuki Durham, Research Consultant, Department of Health Services, University of Washington, provided assistance with literature review for this article. Financial support came from the National Center for Complementary and Alternative Medicine (Grant #5R01-AT000891). The Center approved the basic design of the study but had no role in management, analysis, or interpretation of data, nor did it assist in preparation, review, or approval of this manuscript. The authors are solely responsible for the article’s content, which does not necessarily represent the official views of the National Center for Complementary and Alternative Medicine or the National Institutes of Health. Healthy People. (2010). Objectives. Available at http://www.healthypeople.gov/document/html/objectives/14-24.htm and http://www.healthypeople.gov/document/html/objectives/14-22.htm. Accessed on November 18, 2008. American Chiropractic Association. (2008). Current policies: Vaccination, revised and ratified, June, 1998. Available at http://www.amerchiro.org/level2_css.cfm?T1ID=10&T2ID=117. Accessed on November 18, 2008.
International Chiropractors Association. (2008). ICA policy statements: Immunization and vaccination. Available at http://www.chiropractic.org/index.php?p=ica/policies#immunization. Accessed on November 18, 2008.
International Chiropractic Pediatric Association. (2008). Research foundation. Vaccinations. Available at http://www.icpa4kids.org/research/children/vac_info.htm. Accessed on November 18, 2008. Office for Civil Rights. (2008). OCR privacy brief: Summary of the HIPAA privacy rule. US Department of Health and Human Services, Washington DC. Available at http://www.hhs.gov/ocr/privacysummary.pdf. Accessed on November 18, 2008. WWAMI Rural Health Research Center. (2008). RUCA data: ZIP code RUCA approximation. Available at http://depts.washington.edu/uwruca/approx.html. Accessed on November 18, 2008. Black C. (2008). Washington lags behind 40 states, DC. Seattle Post-Intelligencer 4/22/2008, page B2. Available at http://seattlepi.nwsource.com/local/360172_immunization23.html. Accessed on November 18, 2008. Centers for Disease Control and Prevention. (2008). Vaccines & immunizations: National Immunization Survey (NIS)—Children only, NIS data in chart by year. Available at http://www.cdc.gov/vaccines/stats-surv/. Accessed on November 20, 2008.